Columbia International University Softball Coach Sara Allen is pretty happy. 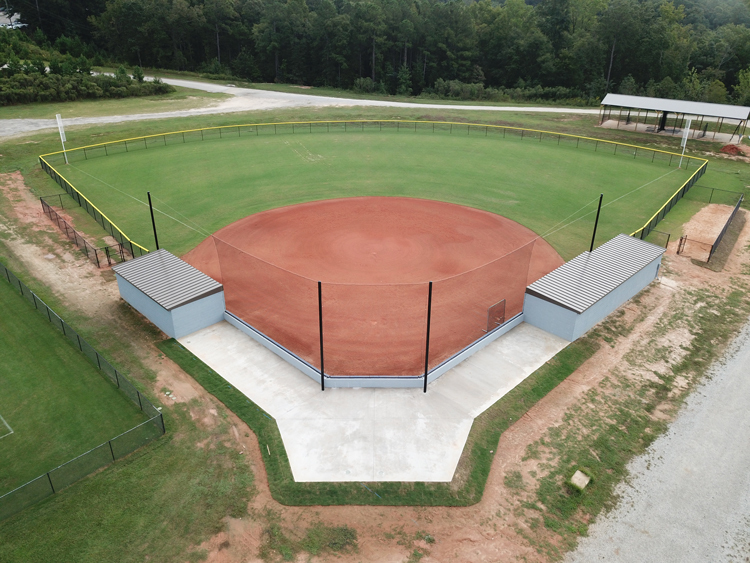 She reports that there are just a few finishing touches left on the construction of the CIU softball field just ahead of her team’s inaugural season this coming spring. But she says CIU softball fans will be especially excited by the personality of the team. Meet Allen’s recruits on the CIU athletics softball page. Meanwhile, progress continues on the $20 million William H. Jones Global Business & IT Center scheduled for completion in 2019. The foundation is being laid as crews work on the site at the entrance to the CIU campus. The Center will also be a hub for economic development along Monticello Road, the gateway to the CIU campus. Six properties on Monticello Road have been purchased by CIU or are under contract for the purpose of revitalizing the corridor. Two of the properties have already been cleared and a third is expected to be razed in weeks. Excitement is building on campus with a dramatic increase in enrollment. Information on enrollment is available here or call (800) 777-2227, ext. 5024.